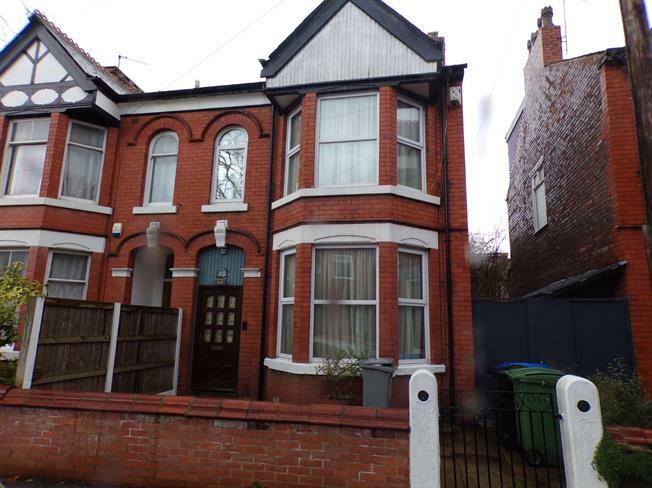 A rare opportunity to purchase this attractive period, semi-detached property. Although it is in need of renovation it has all the makings of the perfect family home. Briefly comprises of; large entrance hall, lounge with bay window, spacious dining room, kitchen and utility leading the garden. Upstairs there are three bedrooms, family bathroom and currently a second fitted kitchen which could be converted back to a double bedroom or sizeable bathroom. This desirable house also benefits from a cellar. A viewing would be highly recommended to appreciate the size and potential this property holds.